also true for four-legged law enforcement personnel – better known as K-9s. Police K-9s face danger not just from the suspects that they chase but are also now at risk of injury or death from exposure to the powerful narcotics that are wreaking havoc on the United States. As a result of this risk, some forward thinking agencies and officers are doing what they can to minimize risk and prepare for the worst case scenarios. According to a recent article in The Baltimore Sun, Baltimore County Police Officer Stephen Roesler spends more time with his 85-pound German shepherd than he does with any humans – even his own family. With the river of new synthetic opioids like fentanyl out there, Roesler said it’s critical that cops understand what to do if the animal gets exposed to the drugs. In some agencies in Maryland, law enforcement agencies have been training officers in their K-9 units on how to administer Narcan (naxolone) to their dogs should they come in contact with the deadly drugs while sniffing for narcotics. The good news is that giving a dog the life saving drug is very similar to giving it to a human. Narcan is administered nasally, in the same way and with the same dosage used for humans. K-9 officers now carry two vials of Narcan with them, while other patrol officers hold just one. 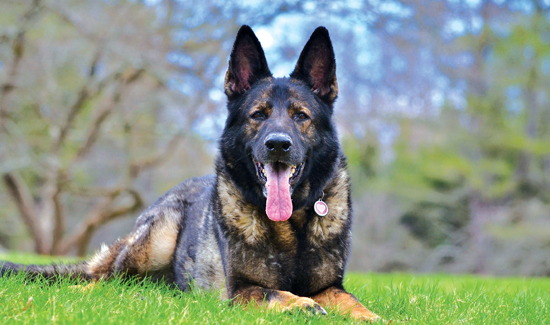 McNamara runs ODIN’s Fund, a non-profit that provides first aid training to K-9 units across the country. “These dogs are on the front line,” McNamara said. While there hasn’t been a K-9 overdose in Maryland yet, it’s great to see agencies, officers and others getting out in front of the threat.